When was the last time you felt alive? Alive as in you feel the fury of the nature on you; the moment which makes you believe in the perfect harmony of the universe. The last time that happened to me was when I visited Niagara falls. What a beauty it was. I was marvelled by the whole picturesque view, truly one of the wonders of nature. 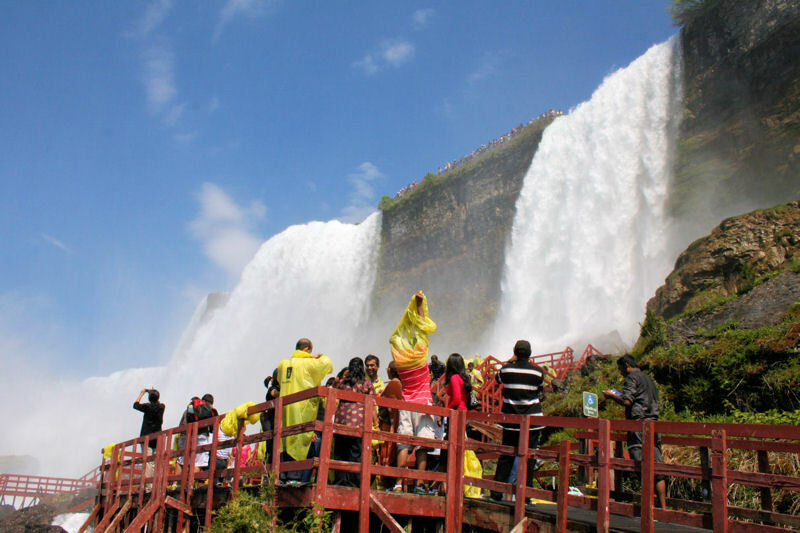 In Niagara falls, one of the main attractions is Maid of the Mist, which takes you much closer to the falls in a boat, That in itself is a surreal experience. At the point closest to the falls, three sides of you are surrounded by falls and you are blinded by Mist from the falls. There is nothing else in your mind but the admiration for the falls at that point of time. But, one of the truly amazing experiences for me was ‘Cave of the winds’ in which you can climb up a stair of steps and get very closer to the falls. You feel the falls directly hitting you and mind you, the water hits you with such an amazing force that you can’t be there directly under it for a long time. Yes, that was the moment I felt alive. I felt the force of nature at its fullest and realized how mortal we are. I was so mesmerized by the whole experience that I didn’t want to go away from it. Each time the water hit me, I was getting connected to the universe more and understanding the value of my precious life. I was truly one of the best experiences of my life, an experience of a lifetime. Now tell me, when was the last time you felt alive?